HVAC Testing and Monitoring | Monnit Corp.
Making sure that your building's heating and air conditioning systems are operating properly can be a large task. 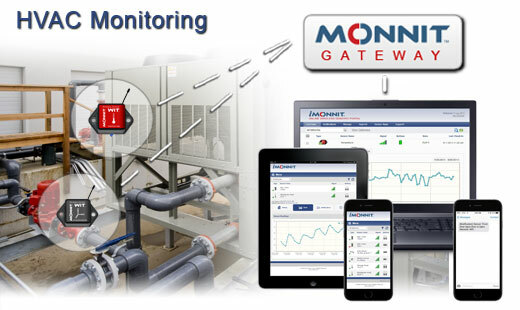 Monnit provides a solution for monitoring multiple aspects of your facilities HVAC systems, allowing you to know immediately if there are any issues. Receive real time alerts via SMS text, email or voice call.